I mean, hot. Hot. HOT. 103.8°F hot. I went down to 12th and Broadway and applied for a job at the Strand. 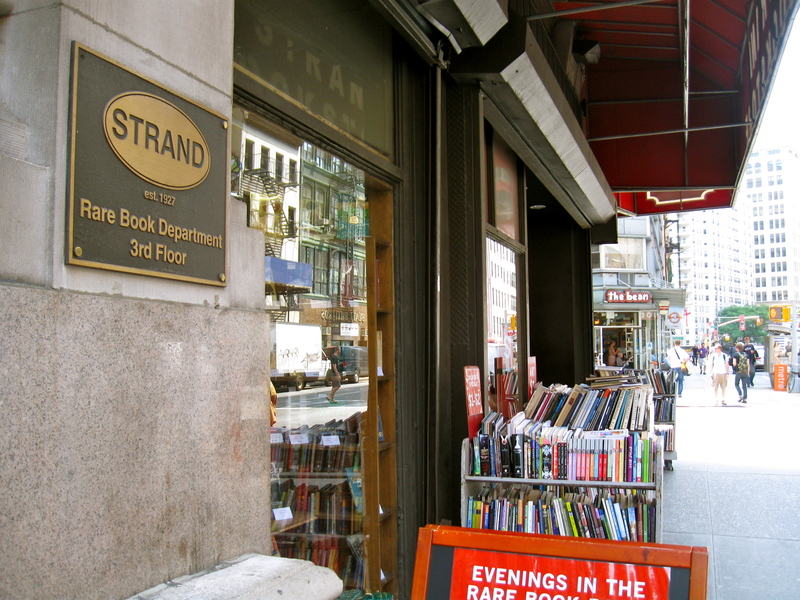 The Strand. To be perfectly honest, I had never heard of this place until a couple of weeks before I moved to New York. 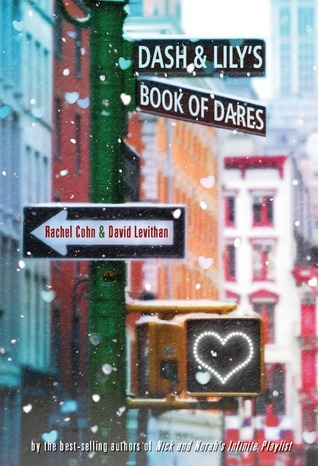 I was on a blog and read a review for the YA novel Dash & Lily’s Book of Dares by Rachel Cohn and David Levithan, and as the Strand is a key setting in the book, I became curious. Especially since I initially assumed that when the authors spoke of the Strand, they meant the street in London. Once I realized that no, they were not speaking of the Strand in London, nor the magazine that originally published Sir Arthur Conan Doyle’s Sherlock Holmes stories, and that actually the Strand was a used bookstore in New York City that boasted of having eighteen miles of books, I knew that I had to go there. So I did. At the end of my first week in NYC, I dragged J to the store and wandered aimlessly through the many, many books. I even walked away with two. When I bought them, I asked the cashier about job opportunities, and she told me what I needed to do. I thanked her, left the store, had an overpriced Mexican lunch with J, and proceeded to think about the Strand for the next fourteen days. I was so nervous when I arrived this afternoon, I decided to calm myself by browsing. In the YA section—because that is my favorite section in bookstores and libraries—I found Dash & Lily’s Book of Dares. Call it divine intervention, a sign, or pure coincidence, but I bought it, and then headed straight upstairs where I proceeded to fill out an application that included a literary “test” at the end. I hate tests. I hate taking them, I hate giving them. I hated this one. I stared at it with fear growing in me because of all the questions, I was only confident in answering three of them. Do you know how embarrassing it is to be an English major and an English teacher and to feel clueless about literature? Ah well. What’s done is done. It’s in God’s hands now. Insha’allah. At 103.8°F, I think I can still count today as a success. Now if you’ll excuse me, I have a date with Dash and Lily, my fan, and a frozen, strawberry lemonade from McDonald’s. …mostly I was spending time in the Strand, that bastion of titillating erudition, not so much a bookstore as the collision of a hundred different bookstores, with literary wreckage strewn over eighteen miles of shelves. All the clerks there saunter-slouch around distractedly in their skinny jeans and their thrift-store button-downs, like older siblings who will never, ever bother to talk to you or care about you or even acknowledge your existence if their friends are around… which they always are. Some bookstores want you to believe they’re a community center, like they need to host a cookie-making class in order to sell you some Proust. But the Strand leaves you completely on your own, caught between the warring forces of organization and idiosyncrasy, with idiosyncrasy winning every time. In other words, it was my kind of graveyard. 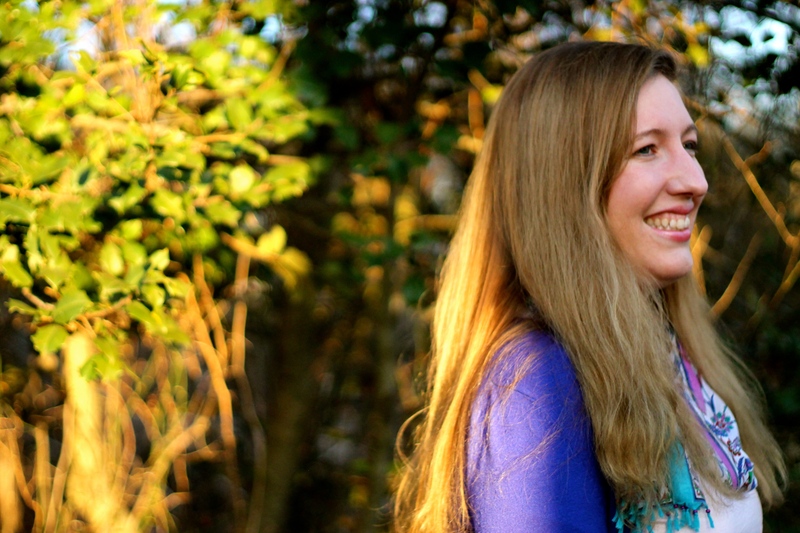 Move over Peeta Mellark, I think I just found my new book crush. This entry was posted in Geek Moment, New York City, Personal and tagged Dash & Lily's Book of Dares, New York, The Strand. Bookmark the permalink.